Insurance companies offer medical gap cover, and not the various medical aid schemes such as Bestmed or Discovery Health. If your medical aid plan is not comprehensive, it is worth considering taking out medical gap cover. What is gap cover in medical aid? Medical gap cover is similar to an insurance policy. Not all medical aid schemes are fully comprehensive. This means that whilst they may cover you for much of your expenditure whilst you are in hospital, you may still have a shortfall. If you do not have medical gap cover then it is up to you to cover the shortfall. What medical gap cover does is to insure you against this risk. Schemes like Discovery medical aid and Momentum medical aid offer fully comprehensive medical aid plans, but they are quite expensive. Therefore, it is sensible to contemplate whether it would be more financially beneficial to have the cheapest medical aid possible and supplement it with medical gap cover. There are numerous medical gap cover options on the market, together with a wide variety of providers. Zestlif, Old Mutual and Liberty all provide a selection of medical gap cover. Many of the medical aids in South Africa such as Momentum Health offer affordable medical aid packages. A cheap medical aid plan makes sense if you are young fit and healthy. The chances of you needing expensive medical treatment, an operation, or chronic medication are far less than when you become elderly. Your medical aid plan really only needs to cover the basics. However, if you happen to be in a road accident, this could have serious financial implications for you and your family. Medical gap cover is the means to protect them, and/or yourself against such an event. Similar to when you are looking to select a medical scheme to join, you should obtain several quotes for medical aid gap cover. 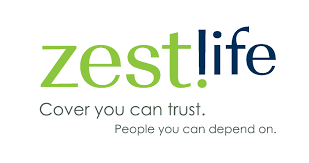 Zestlife is one of the best gap cover insurance companies so you should ask them for a quote. Zestlife has four options of personal cover available. This cover protects you against unexpected doctors’ bills for the time you were in hospital having an operation or procedure. This feature covers your family should anything ever happen to you. They will still have medical aid. As the name implies, this gives cover for both you and your family should you be involved in a road accident. If either you or a family member are injured in a road accident, a lump sum of R119 000 will be paid out. Cover for your family in the event that you are accidentally killed. This cover provides you with protection by paying out a substantial sum in the event that you are injured in an accident or are accidentally killed.